Migration is a powerful driver and important consequence of economic, political and social change, and therefore needs to be adequately measured and understood. However, the improvement of statistical systems to measure migration has been a slow process because of weak coordination between migration statistics producers, discrepancies in the applied definitions, and challenges related to data collection. 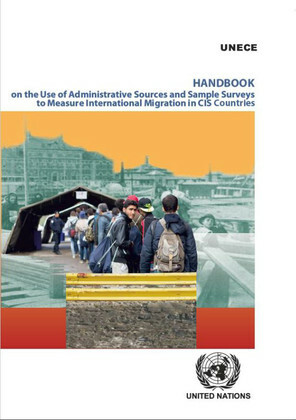 The objective of this handbook is to guide statisticians and other professionals in producing and using data on international migration from administrative sources and household surveys in countries of the Commonwealth of Independent States (CIS). Chapter I of the handbook describes the key concepts and definitions for the measurement of international migration. Chapter II provides practical information on the sources of administrative data and their use, and highlights the related methodological and organizational challenges. Chapter III addresses the use of sample surveys to measure international migration and provides an inventory of migration surveys and best practices. Chapters II and III conclude with concrete recommendations for national statistical office and other migration data poducers. The handbook was prepared by UNECE consultants and staff in the framework of the project “Preparation for the 2020 round of population censuses and the production of better migration data in CIS countries”, funded by the Russian Federation. Substantive contributions were received from experts of the Interstate Statistical Committee of CIS (CISSTAT) and national statistical offices of CIS countries.